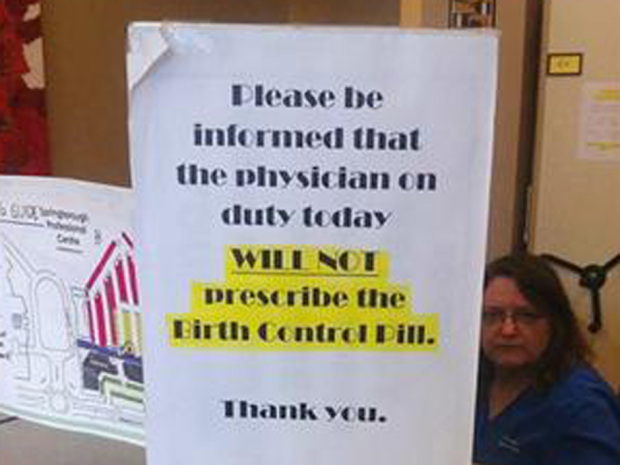 CALGARY — A doctor at a Calgary walk-in clinic is refusing to prescribe birth control due to her personal beliefs. Dr. Chantal Barry will not prescribe contraception, a receptionist at the Westglen Medical Centre confirmed. Patients looking for birth control are provided a list of other offices in the city that prescribe it. “I was shocked and outraged,” said Joan Chand’oiseau, 45, who saw the sign while attending an appointment with her gynecologist Tuesday. Ms. Chand’oiseau immediately posted a photo of the sign on Facebook, prompting angry responses from several of her friends. “I don’t think her belief system should have any part in my reproductive health,” she said. 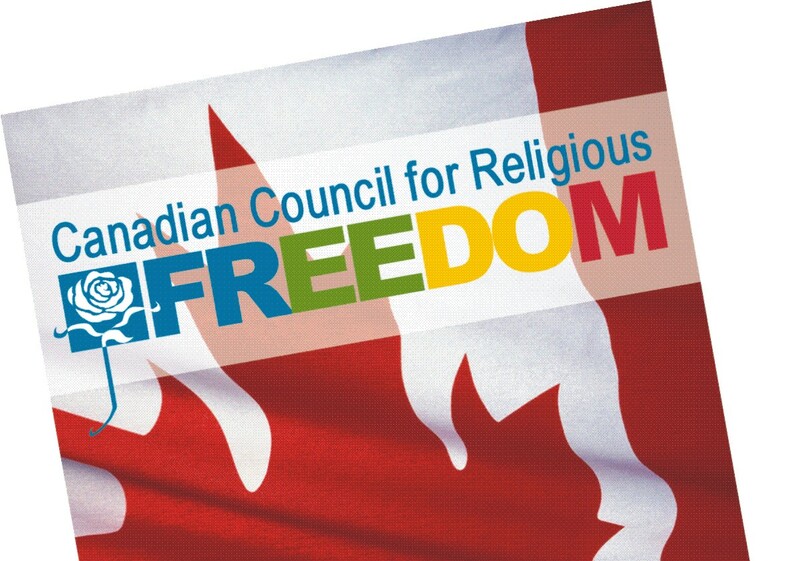 Under the College of Physicians and Surgeons of Alberta’s policy on Moral or Religious Beliefs Affecting Medical Care, doctors can refuse to provide medical services, but must ensure the patient is offered timely access to those services from another practitioner. Trevor Theman, registrar with the CPSA, said the policy does not require Westglen to have a doctor on hand who can prescribe the pill. “There’s a degree of urgency but it’s not like life or death today kind of urgency,” he said, adding most women should be seeing a family doctor about their sexual health needs. Dr. Barry declined to make a comment. In 2010 profile by the University of Alberta, she described the struggles of raising two small children during medical school. “I was completely exhausted, up all night with my baby, missing part of my rounds and pumping in between lectures … It was unbelievably stressful and there were many tears,” she said, citing God as one of her sources of strength. In an ideal world, women … won’t just be dropping into a walk-in clinic to get a prescription for birth control. Pam Krause, president and CEO of the Calgary Sexual Health Centre, said she’s aware of doctors who morally object to making abortion referrals, but refusing to prescribe birth control is virtually unheard of in Alberta.